Could you imagine a world where all children have the same rights and opportunities? A world where school-age children, boys and girls, receive adequate education? According to the United Nations, about 57 million children do not attend school globally, with half from sub-Saharan Africa. The lack of opportunity and infrastructure in education is a hurdle to human health, growth and sustainable development. Access to education at all levels, particularly for women and girls, is an indispensable antidote to poverty. In South Sudan, UNICEF estimates that more than 50 percent of children between the ages of 6 and 15 are out of school – nearly 1.8 million children without access or opportunity for education. The U.S government recently pledged nearly $133 million in additional humanitarian assistance to South Sudan, helping to increase access to emergency education for children who are refugees or internally displaced. The U.S. government also continues to encourage the peace process. In early 2011, South Sudan became the world’s youngest nation, but by late 2013, South Sudan found itself embroiled in civil war. The war ceased with the signing of a peace agreement in August 2015, resulting in the formation of the Transitional Government of National Unity in April 2016. 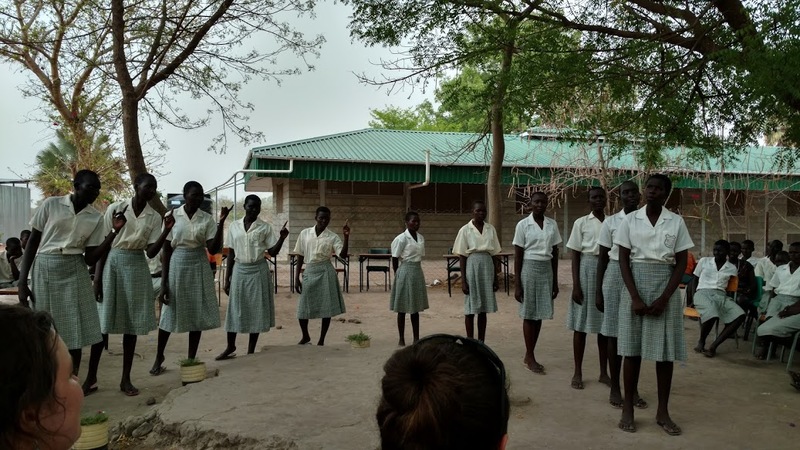 In South Sudan, girls’ lives have been shaped by cultural norms and lack of opportunities. In Maker Kuei, for example, a village in Rumbek, the capital of Western Lakes State, South Sudan, girls were generally confined to domestic life, centered around farming, household chores and upkeep, early marriage and child-bearing, without much opportunity for formal education. Boys, in contrast, have had access to education and social and economic life outside the village. A vision for quality and inclusive education for all led to the establishment of Loreto Girls Secondary School in 2008. The Loreto School currently boards, educates and advocates for more than 200 girls at the school, with support from Mennonite Central Committee (MCC) and other development partners. The school recently expanded its facilities to include new primary school classrooms for about 700 pupils and a water tower, with the help of MCC. Also, MCC school kits and food assistance help girls stay skillful and healthy, while peace club activities help the girls become caring peace builders with the potential to transform their communities. Today, graduates of Loreto School work in nursing, non-governmental organizations, government ministries, media and educational institutes in South Sudan. They are a generation of change makers who will impact their country, with intelligent minds that have acquired knowledge (Proverbs 18:15). Charles Kwuelum is Legislative Associate for International Affairs in the MCC U.S. Washington Office. Story originally published on October 7, 2016. Reprinted with permission from Third Way Cafe.